This is a free webinar. The webinar access information will be sent in your confirmation email and the reminder email the day prior to the program. Online Registration for this webinar has closed. Please call our Chapter office if you have any questions 312-245-8300. Join USGBC - Illinois for this free, 30-minute webinar to learn the latest on the Nicor Gas Home Energy Efficiency Rebate Program. 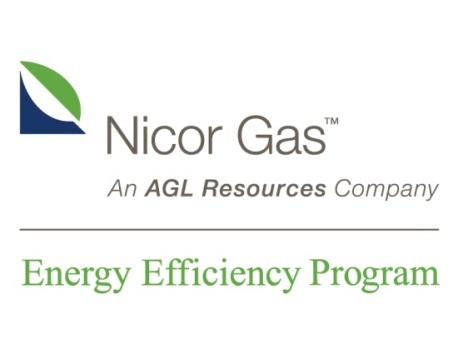 This webinar will cover the rebate opportunities available for residential customers of Nicor Gas effective June 1, 2013. The Home Energy Efficiency Rebate Program offers cash rebates to homeowners, landlords, and property managers for the purchase and installation of high efficiency HVAC equipment. During this webinar, learn about bundling equipment to receive even larger rebates! USGBC - Illinois & Nicor Gas will bring you up-to-date information on rebates and incentives offered from many utilities over the next several months. Be sure to tune-in to learn how you can incorporate these savings into your green building projects throughout Illinois.